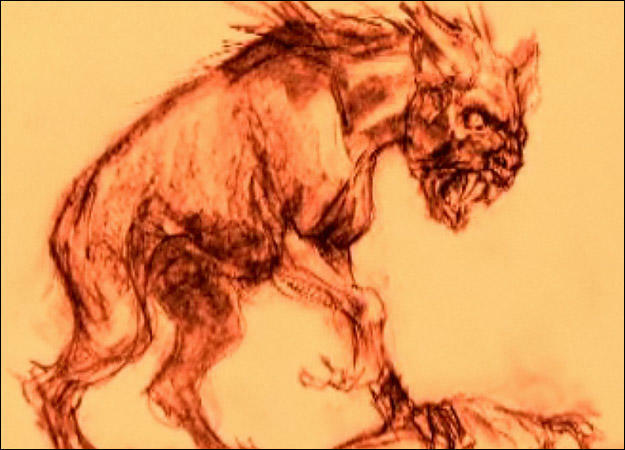 THE LEGEND OF EL CHUPACABRA: The legend of "El Chupacabra" began when goats and chickens started turning up dead in Puerto Rico in the 1990's, drained of blood and with telltale puncture wounds in their necks but otherwise completely intact. Literally translated as "goat sucker" in Spanish, reports of Chupacabra spread from Puerto Rico to Mexico, Chile, Brazil and into the United States, from Texas to Florida, Michigan, Maine and even Oregon. Soon Chupacabra became a worldwide urban legend as news spread far and fast on a wave of Internet enthusiasm, taking hold of imaginations worldwide. A HISTORY OF VIOLENCE? While reports of Chupacabra are relatively new, the phenomenon dates back to the 1970's when Puerto Rican legend tells of El Vampiro de Moca, a supposed livestock-killing vampire in the small town of Moca. Whether Chupacabra exists or not, reports of bloodless murdered livestock persist. And to date, no satisfactory predator has ever been caught.